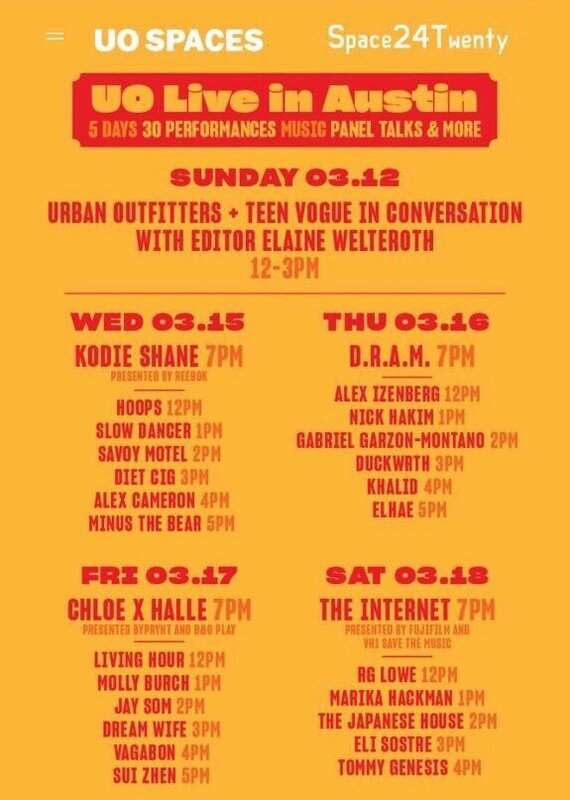 Urban Outfitters Live SXSW 2017 Day Parties Announced ft Internet, D.R.A.M. 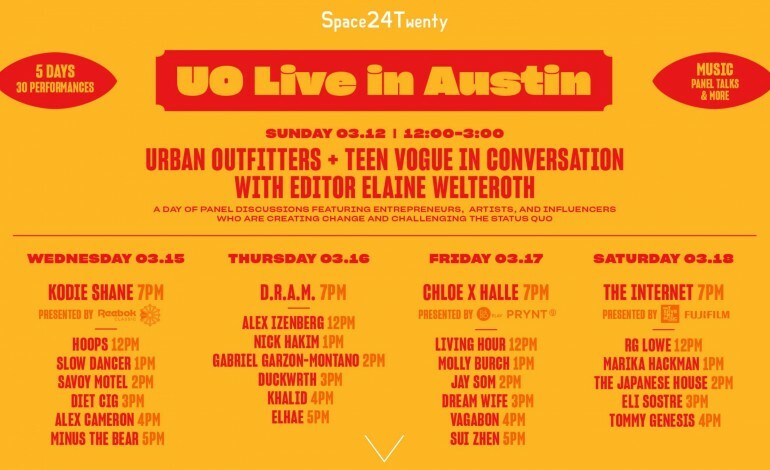 Urban Outfitters is taking over their unique space near campus and bringing us 4 days of music this SXSW. The lineup includes greats like rapper D.R.A.M., R&B band The Internet and duo Chloe X Halle. Check out the full music lineup below. On top of the music, they have a special talk scheduled on Sunday, March 12th with Teen Vogue editor, Elaine Welteroth, from 12-3 PM. No RSVP needed for this one- it’s free and open to the public. Don’t miss this event with these killer sets!